Applying a “direct” pictorial language based on elements of intuition and calculation, spontaneity and contemplation as well as feeling and intellect Nina Hoffmann`s paintings reveal besides the artist`s perception of “reality” the idea of an individual`s hidden second reality behind the visible physiognomic shape. 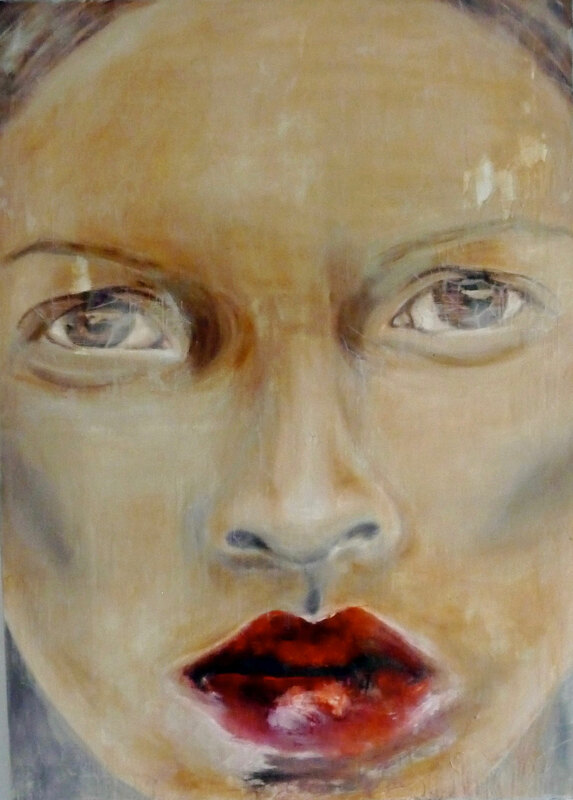 Her profoundly subjective paintings reveal themselves as a reflex of the “inner voice of the soul” and, thus, as an unfiltered, personal expression having the human being, it´s portrait and the humanity in the center of the creative intuition. Nina Hoffmann paints most of her pictures in a special wax technique called Encaustic, which she developed during her early performances in the 90ies. She was born in 1948 in Yugoslavia and lives and works in Berlin, she had solo exhibitions a.o. at Gallery Kewenig, Gallery Czarnowska, Berlin, AJL Gallery and Kunsthalle Mannheim. meist in einer besonderen Wachs-Technik, der Enkaustik gemalt, die sie bereits in ihren frühen Performances in den 1990er Jahren entwickelt hat. und in der Kunsthalle Mannheim.